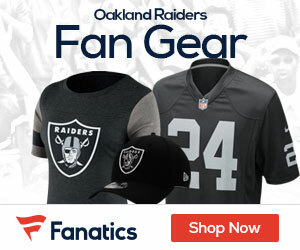 Raiders starting quarterback Derek Carr did not participate in Tuesday’s OTA practice, the first of its kind in the final phase of the NFL offseason program, Scott Bair of CSN Bayarea reports. It’s uncertain exactly how long Carr has been out, though it’s believed that he’s missed the last week of offseason work at least. He has, however, been at this time and has sworn to stay quiet in that regard. Carr was on the practice field, but he did not wear a helmet or cleats for the session. Head coach Jack Del Rio wouldn’t elaborate on a timetable for Carr’s absence, but didn’t seem overly concerned by it at this stage. When Carr returns, watch him and first-round draft pick Amari Cooper take the field for Raiders home and away games. Hipmunk.com has flights to and from Oakland to take in any Raiders’ action in person, along with Oakland hotels starting from $67. 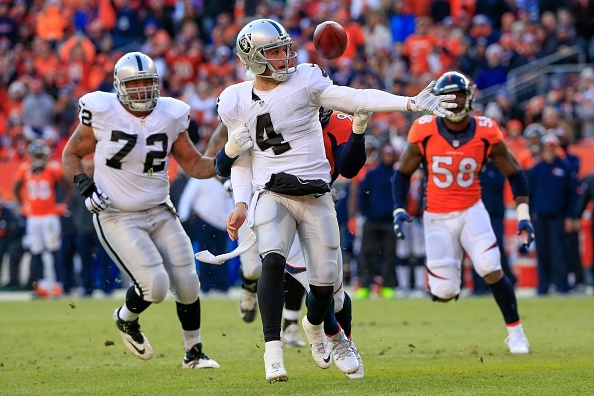 The Raiders will be hard-pressed to win even 6 games without a sold QB.